Comments: This is a relatively new plant introduction into the trade from Mexico. 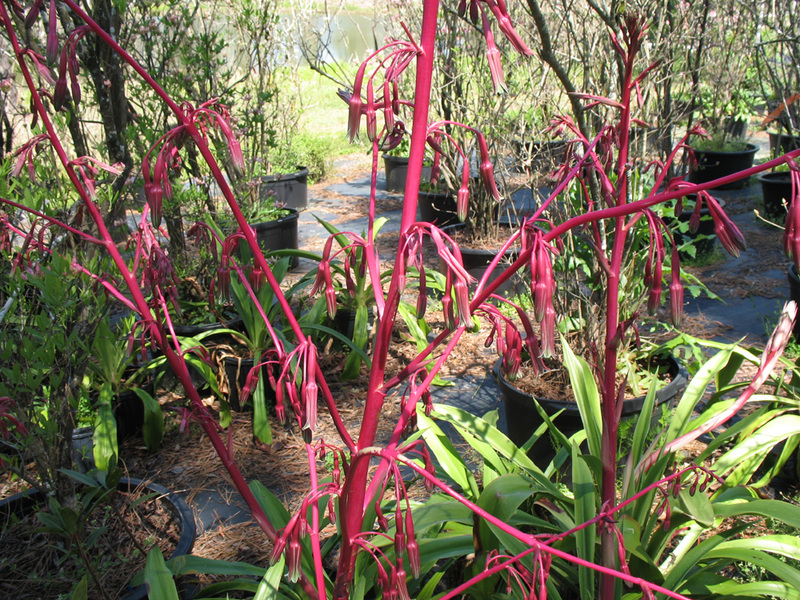 It is a relative of the century plant and produces a rosette of yucca-like foliage from which arises a striking red floral stalk with red bell-like flowers with green tips in spring. The red floral stalk and seed pods remain for a long time after flowering It makes a strong presence in the landscape because of its striking flowers and interesting rosette of foliage that do not contain thorns. In hot climates provide some protection from afternoon direct sun.